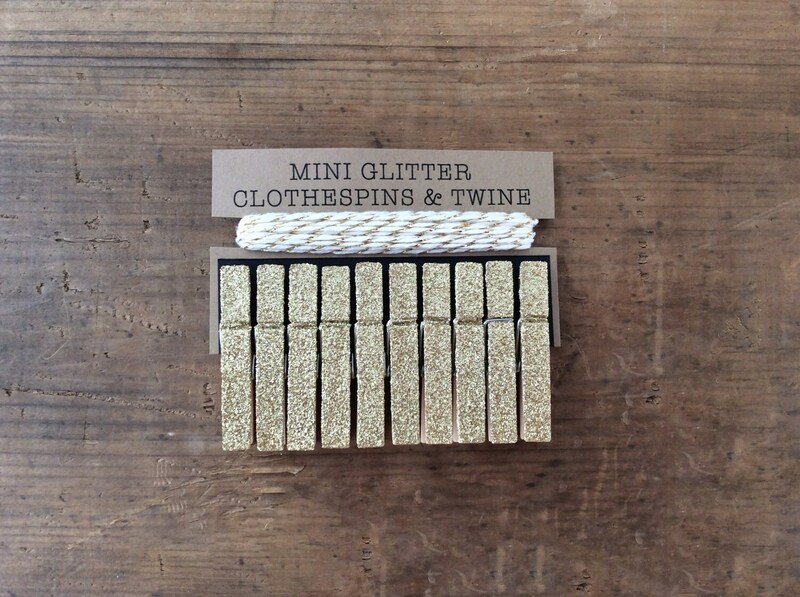 A set of ten (10), mini gold glitter clothespins with ten (10) feet of cream/metallic gold twine. 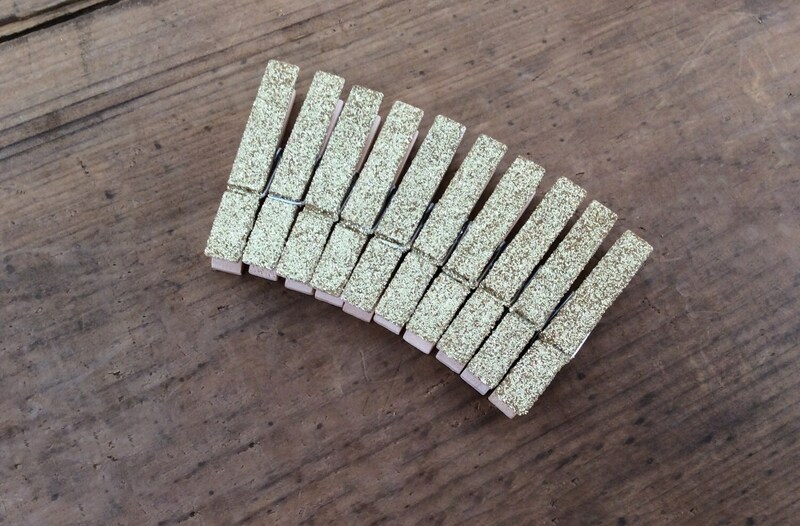 The glitter has been applied to one side of the clothespin and has been sealed to prevent the glitter from shedding. 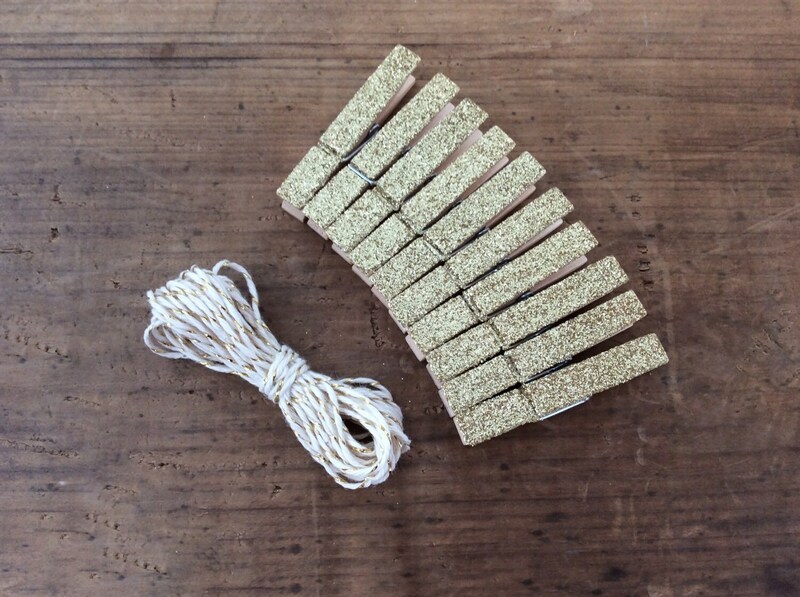 Each clothespin measures 1.75" long. Please Note: Computer monitors may alter the color slightly from the item's actual color. ► Custom Orders are always welcome.